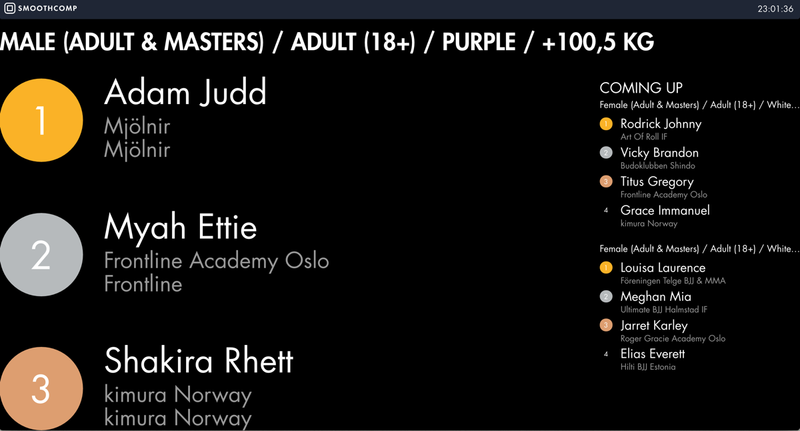 Results are fully automated from the brackets. This means no extra administration for publishing results and as you see below, we have a smooth way to show the results and the upcoming fighters to be awarded. This is our recommended way of working with the medal ceremony. Connect an iPad or computer to a TV screen by the medalpodium. Have on of your crew logged in to Smoothcomp using a smartphone, tablet or computer and go to the "Results" tab. Press publish when you see that the first weight class has finished. Ask the fighters to step on the podium to receive their medals. Every time the last fight of a bracket is decided and saved to the system the person who hands out the medals has the information at his/her fingertips. The medalists show up in a line in a chronological order and once you are ready to hand out medals you press publish and the result is displayed live on the site. If you want you can choose to take another weightclass, apart from the order and publish that one to the podium incase you dont want to wait for fighters from one class to show up. 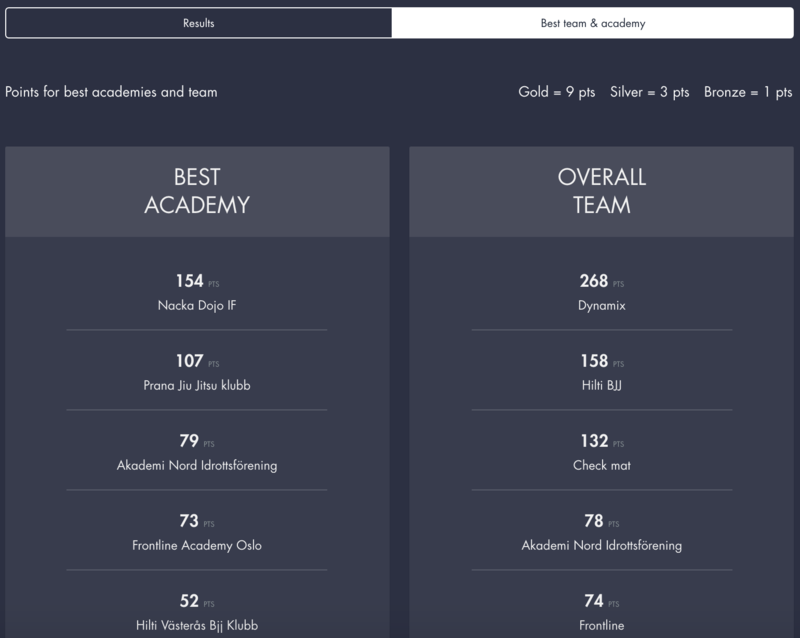 The toplist on “Best academy & team” is also updated when you press publish.